Team Fortress 2 has always messed around with different things, and adding the Oculus Rift support wasn’t an exception. For those of you who are at least a bit familiar with the FPS games should have heard about the Team Fortress 2. It has become quite a popular game few years ago, and still is thanks to the regular updates that this game gets. In this online game you are playing in either blue or red team. There are many different classes for you to try, and gamemodes which are different from each other by the goals, or objectives they have. Taking this game seriously is really impossible considering how much silliness it has. Even in Steam forums you can find the evidence: “Can you name any other FPS that lets you slap the hell out of urine-throwing Australians with a fresh cod wrapped in christmas lights, eat a bucket of fried poultry over their corpses, and then get hit with a pipebomb launched from an African-Gaelic one eyed alcoholic who can fly while weilding a talking ghost claymore?” (taken from a users comment that has 2800 hours played on this game). 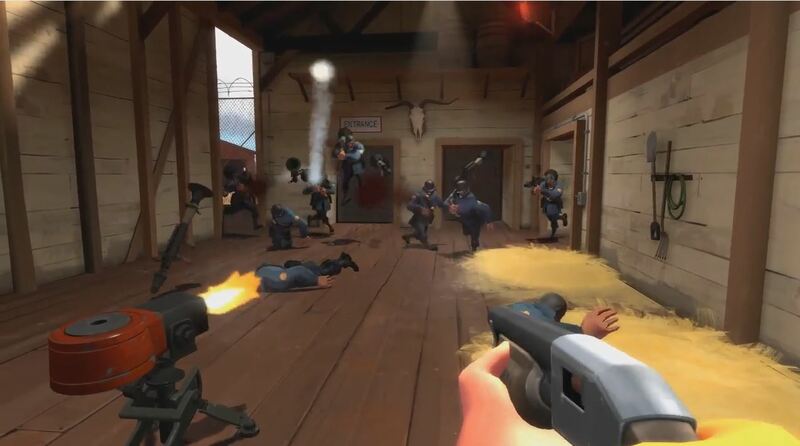 As TF2 is made by Valve, you can expect some serious support, including for the Oculus Rift users. If you need some guidance or help, or if you have any questions, you can read the guidelines here. 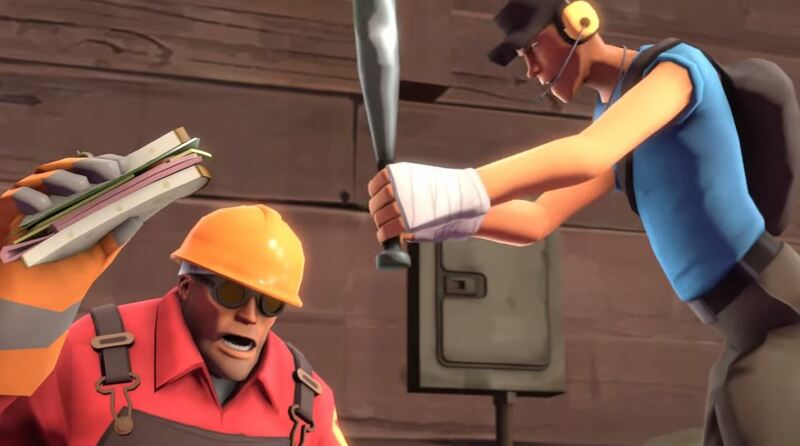 Team Fortress 2 reviews were extremely positive, and it has won multiple awards. For the Virtual Reality headset users though I would recommend taking some breaks between the games, as the game is super addictive and the time can fly past without notice.